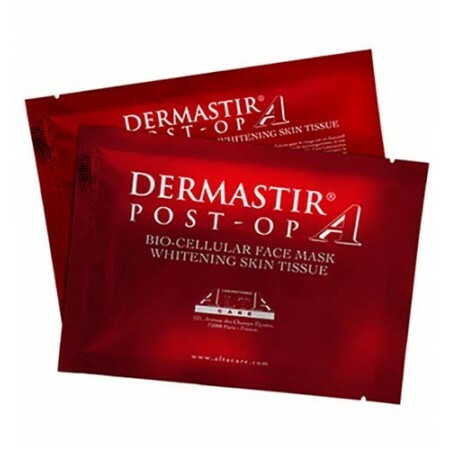 Dermastir Whitening Mask has skin tissue-like material. This unique formula with Ellagic acid, a skin conditioning whitening ingredient, that reduces dark pigmentation on the skin, making it appear bright and radiant. A whitening combination of Ellagic acid with Glycyrrhizate in the bio-cellular mask has been proven to be effective in skin whitening. This sheet mask enables air to penetrate and adheres tightly to the skin, therefore, delivering more of the active ingredients.